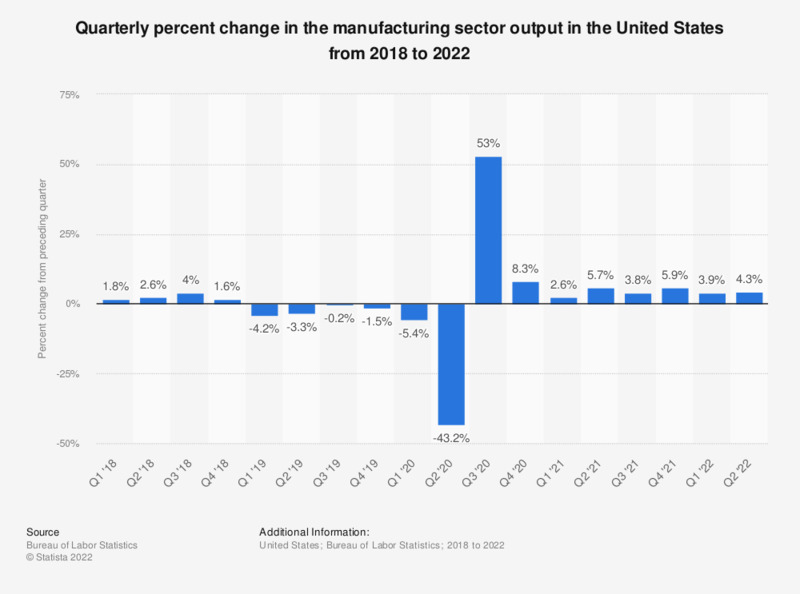 This graph shows the quarterly percent change in the manufacturing sector output in the United States from 2016 to 2018. The data are seasonally adjusted at annual rates. Manufacturing sector output is a chain-type, current-weighted index constructed after excluding from the gross domestic product (GDP) the following outputs: general government, nonprofit institutions, and private households (including owner-occupied housing). Corresponding exclusions also are made in labor inputs. Business output, including manufacturing sector accounted, for about 75 percent of the value of the GDP in 2010. Manufacturing sector output increased by 2.7 percent in the fourth quarter of 2018.